REXON Transformer oil filtration system ZYD-150, Vacuum pumping set RNVS-70, and oil BDV tester IIJ-II-II-100 purchase by overseas customers were finished production and tested today, the inspection were successfully finished today in factory. All equipment are performed well and working smoothly. 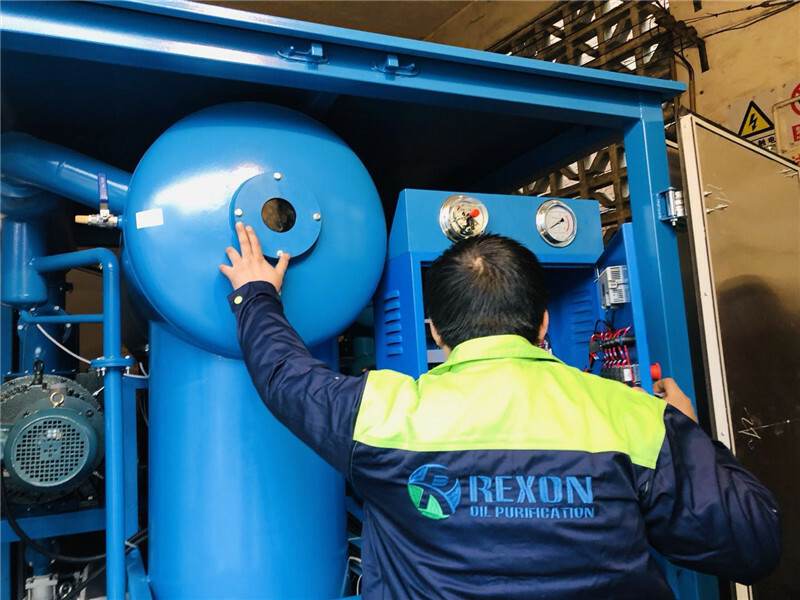 REXON offer the newest and highest advanced oil filtration system to the market, all components we take are first-class famous brand and super quality. Our technical research team is always keep working on new design and better performance compared with every yesterday, and they developed newest oil filtration technology till now. You buy our machines, you will know how great our oil purifier machines are. Welcome to contact us for more details, we sincerely hope to cooperate with our world-wide customers and make a long and win-win relationship with each other.